This picture was taken from the Cameron Avenue bridge, looking north, when the canal was still in use. The lock tender’s house is on the left, facing Cherry Street. 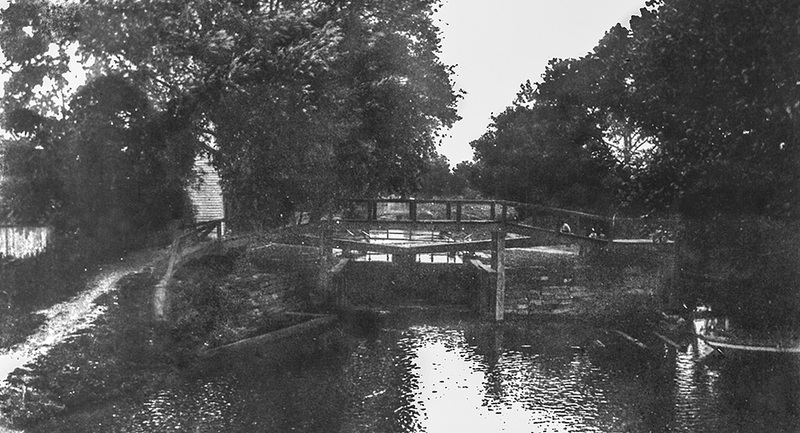 Note the large wooden lock gates with their balance beams, used to manually open the gates, and the bridge over the canal to allow access to the beam on the opposite side.